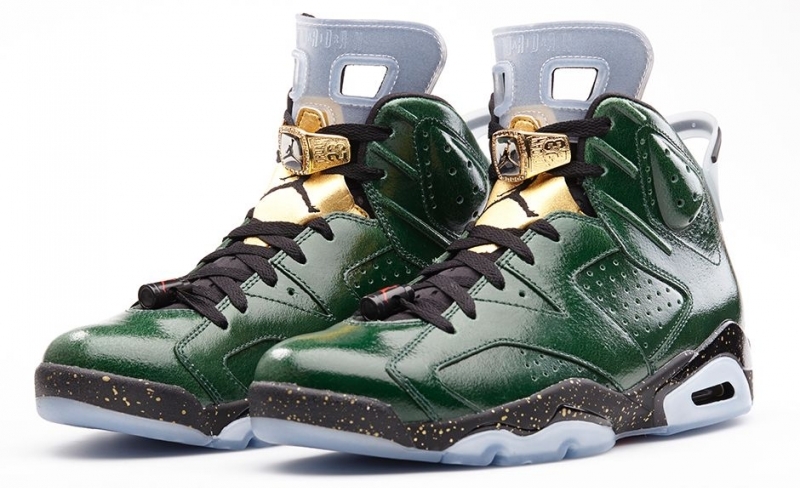 The Air Jordan 6 Champagne was one of the most anticipated releases of 2014. Releasing in the Air Jordan 6 Celebration Pack, people went nuts just to get this pair. The coveted design features a glossy green upper with gold luxury accents throughout. What makes this sneaker so special is the glow in the dark sole, tongue, and heel tab. Being one of the most hyped release, this pair is definitely one you want in your collection.